We are most impressed with the process you and your team guided us through in selling our property. Every step of the way we felt supported by you. Margo Delaney is a Buyer’s Agent with Gail Roberts & Team. 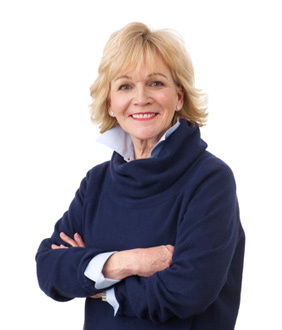 A Cambridge resident, Margo has the knowledge and experience of a successful business owner and entrepreneur. She puts clients at ease with her warmth, genuine interest and commitment in making their experience a positive one. Her listening skills, along with her attention to detail, and desire to educate throughout the process sets her apart from the rest. She has the ability to bring buyers and sellers together effortlessly and they quickly discover her keen business acumen and knowledge of the real estate process. Margo demonstrates enthusiasm in every challenge she takes on including the work she does for Children’s Hospital, Center for Celiac Research and Pine Street Inn.